Hi, this is us, welcome to our website. Qualified field and nature guide Andreas Groenewld is on the left, Andreas is also known as “The Giant In The Forest”. 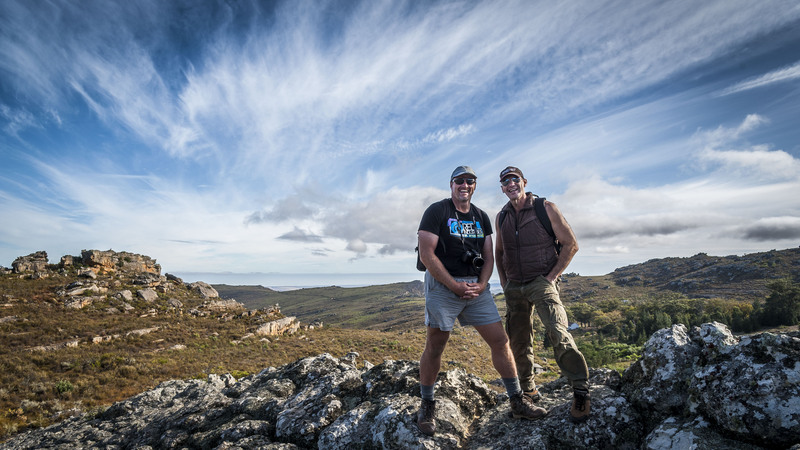 Professional Photographer Steven Greaves is on the right, Steve is also known as “Dinginniebos” meaning “Thing in the bush”. Perhaps we will tell you how we got our nicknames one day, preferably over a few night caps around a campfire. We are also just as passionate about teaching, sharing and imparting our knowledge, expertize and experience. We hope to meet you soon.